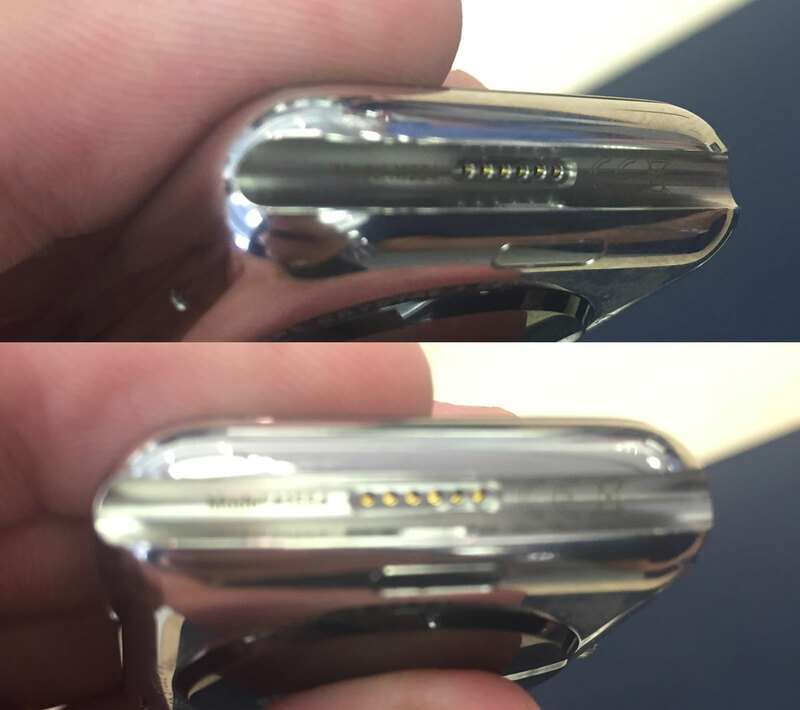 According to a new report from MacRumors, the retail demo units of the Apple Watch still have a hidden diagnostic port inside one of the channels where the watch band slips into place. The diagnostic port was first discovered by TechCrunch back in March. The report noted that the port is currently being used by Apple engineers for development and testing purposes. However, several reports stated that it was unlikely for the port to appear in the final version of the Apple Watch that ships to consumers. 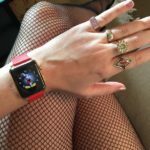 TechCrunch suggested that the diagnostic port may be used in future generations of the Apple Watch, allowing Apple to create smart accessories for the device. For example, the port could be used to interface with a “smart band” which could bring additional functionality to the Apple Watch. In a tweet, Daring Fireball’s John Gruber notes that his review unit of the Apple Watch contains the port, however it is covered up. 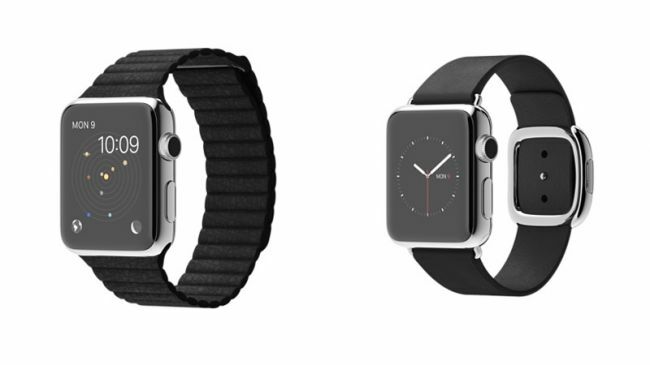 The Apple Watch went up for pre-order on Friday and sold out within 6 hours. Estimated shipping times for the device have now been pushed back to June. Anyone who pre-ordered a device or anyone who wants to try one on, the company has equipped their retail stores in nine countries with special hands-on tables designed specifically for the Apple Watch.